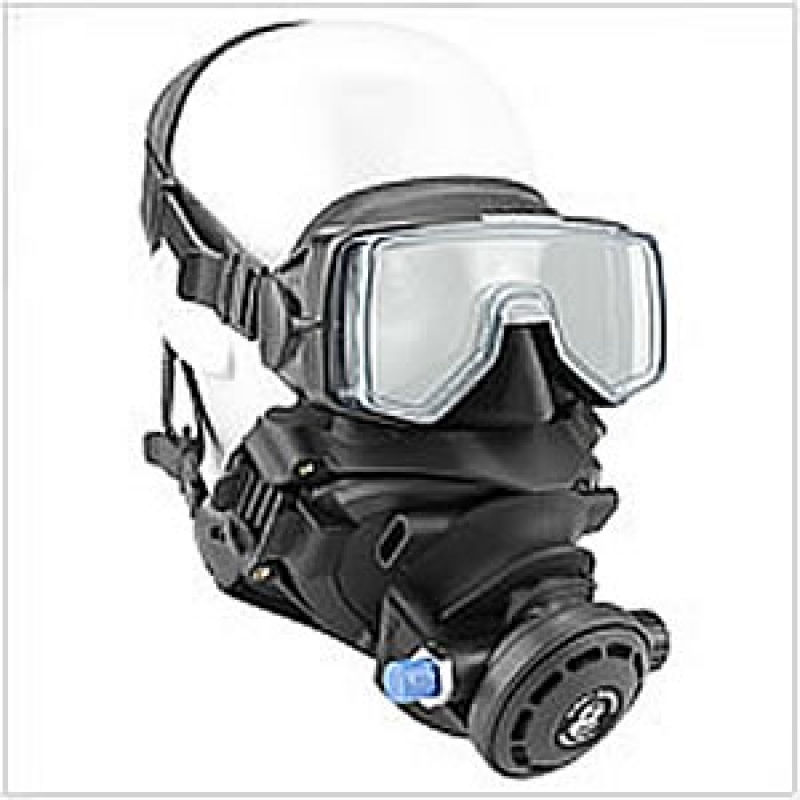 The patented Kirby Morgan SuperMask is a lightweight modular full-face mask that allows for easy and rapid adaptation to various self-contained underwater breathing apparatus as well as surface supplied systems. The mask frame and rigid components are made of high impact plastic. The face seal is made of high quality silicone that conforms to the diver&apos;s face. The modular removable mouth pod is designed to quickly interchange—allowing the diver multiple breathing gas options. The mask is also designed to accept various communications configurations. The removable lower pod is a feature unique to the SuperMask. When diving, the pod is easily removed and replaced on the mask for diver capability to buddy-breathe, use a snorkel or an octopus, or perform an "in water" gas switch. The mask may also be used surface-supplied. KMDSI is currently developing several different pod configurations for both open circuit and rebreather use. We can configure the SuperMask for hard wire or wireless communication systems. We can also set a pod up for rebreathers.